22/05/2016 10:34:32 - Vir.IT eXplorer 8.x has been certified as "SILVER" software by OPSWAT! TG Soft is proud to announce that Vir.IT eXplorer 8.x has been awarded the SILVER certification from the San Francisco-based security firm OPWSAT Inc., after the recognition of Vir.IT eXplorer 7.x as "BRONZE certified", thus entering the category of safe, efficient and compatible anti-malware software. You can check OPSWAT's official website where all "SILVER certified" products are listed: www.opswat.com => Certification => Certified Products, or you can click the follwing link: "OPSWAT SILVER certified"
OPSWAT is a leader company in computer security, based in San Francisco, whose goal is to create a global software partnership in order to offer better protection and compatibility to the end user. OPSWAT has made available various utilites, such as Metascan, a web portal which allows to scan files online, using a multi-engine platform based on most used antivirus tools and their certificates (Vir.IT eXplorer has been one of such tools since October 2012). 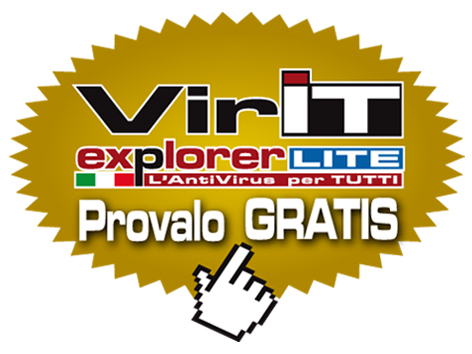 If you are not Vir.IT eXplorer PRO users yet, we strongly encourage you to install, together with your current anti-virus software in order to improve security on your PCs or SERVERs, Vir.IT eXplorer Lite -FREE Edition-. thanks to Intrusion Detection technology, made available on Vir.IT eXplorer Lite too, the software can notify the user of the presence of alleged new generation viruses/malware that run at startup, and can send sample files to C.R.A.M. Download Vir.IT eXplorer Lite from our official dedicated download page. P.S. Versione 7.x of Vir.IT eXplorer, back in 2012 was awarded the "BRONZE" certification by OPWSAT - please chech this bulletin for more information.